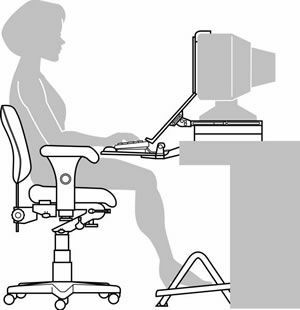 A comprehensive office evaluation of the seated workstation will be performed. Recommendations for modifications will be provided to promote healthy sitting and computing habits. A custom written report will be provided with noted deficiencies and corrective strategies. The report will be available for immediate application and future reference. Participating insurance companies will be billed for this service. A $40 off-site fee will be required (patient responsibility).